The Teen Fashion Blogger: On Trend: Backpacks! Who said that backpacks were only for school? They totally do not look lame in these 5 super cute outfits! Backpacks are totally in fashion right now and can be worn so many different ways! They are cute but also practical - take one with you while out shopping with your friends to store all the necessities (wallet, phone, make-up, etc.) and more (think a water bottle or your latest purchase). 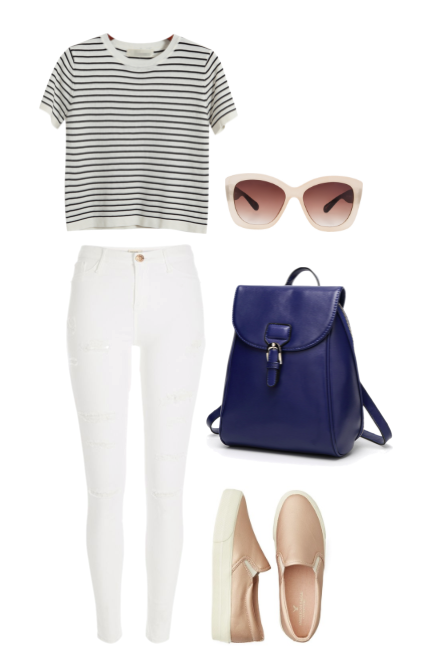 Here are a pick of my favourite backpacks, plus outfits that they would look amazing with! Let me know which outfit is your fave in the comments! Just a great and informative post. I really liked it. Thanks for posting here with us. Keep updating more. All combinations of the style you mentioned is beautiful.....I love this very much. You can collect essays from best essay writing service and you can reach high in your class. Who said that rucksacks were just for school? They thoroughly don't look faltering in these 5 super charming outfits! Rucksacks are absolutely in style at this moment and can be worn such a large number of various ways! They are adorable additionally down to earth - bring one with you while out shopping with your companions to store every one of the necessities (wallet, telephone, make-up, and so forth.) and the sky is the limit from there (think a water bottle or your most recent buy). Here are a pick of my most loved knapsacks, in addition to outfits that they would look astonishing with! There're sweet also because of soil -- carry just one to you though available looking with all your partners to help retail store most of the basics billfold, cellular phone, make-up, and the like. Along with the air would be the control by at this time there imagine some sort of mineral water bottle of wine or maybe ones most up-to-date invest in . Here i will discuss some sort of opt for connected with the almost all beloved knapsacks, together with apparel them to could glimpse surprising having! Inspirational Quotes To Motivate You! Apparel Candy - One-Stop Fashion Shop!